The Registrar of Political Parties Dr Alphonse Gelu is proposing to introduce a voting system “where people will vote for parties rather than individual candidates” (Post Courier, March 18, 2016). 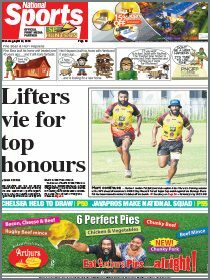 This is in a bid to strengthen political parties in PNG. Gelu is undertaking consultations and public views towards supporting the case for a political party-friendly voting system. Essentially, instituting a new voting system that privileges political parties is an attempt at “political engineering”. That is, the new voting system is intended, over time, to “engineer” or condition the voting behaviour of PNG voters to vote along party lines and consequently get political parties established in the electorate. Gelu is right in stating that an institutionalised and mature political party system is vital in the functioning of PNG’s Westminster system of government. Certain electoral systems – notably, Fiji and New Zealand are cited as cases in point in the use of proportional voting. Their relative successes are also used as justifications in the proposals for changing the voting system. The announcement by the registrar was followed by Nemo Yalo’s detailed analysis of the Constitutional implications associated with the proposal (The National, March 29, 2016). Yalo, a political commentator and former judge, concluded by suggesting that political parties be allowed time to evolve and proposed for more civic education for the citizenry. Political parties, according to Yalo, are expected to take up political education functions. He is right in suggesting that long-term agendas be undertaken in creating the kind of political culture that is receptive to the existence of issue-based organisations such as political parties. Following on from Yalo, I argue that the kind of environment that allows for ideology-oriented voting, and hence, party-based voting behaviour, is inexistent in PNG. Political parties in the short-term will therefore continue to be parliamentary factions, rather than constituency-based. While the voting system proposal is being considered on its merits or otherwise, perhaps a systemic understanding of the context where political parties exist in should also be undertaken. Louise Baker, an Australian commentator on PNG politics argues that institutional reforms in PNG is reflective of the “tendency in Papua New Guinea to place too much emphasis on changes to political institutions when what lies at the heart of the problem are behavioural issues”. Similarly, Yalo makes a valid point about the ongoing attempt to change political behaviour “under the compulsion of law”. Legislating to change the political behaviour of voters is just one part of the whole equation. If the behaviour of voters is to vote along tribal and personality lines, then shouldn’t it also be obvious that we address the societal factors that breed these kinds of political behaviour? Since Independence, political parties exist in a PNG environment that fails to guarantee their longevity. Simply, the foundations that are expected to support the existence of political parties is inexistent. Some pertinent questions should be considered in this exercise: What emergent sectional interests in PNG society can be fostered and channelled into political party-affiliated organisations? What interests do voters particularly align with? Do voters participate outside of formal political party organisations in advancing these interests? If so, what are these entities? Where do political parties predominantly conduct their recruitment and outreach activities? What are the linkages between political parties and civil society entities on issues affecting the nation? Mature political parties are merely a manifestation of a politically-engaged society where diverging interests and affiliations are evident. 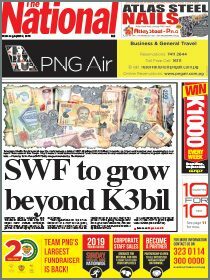 The existence of interest-based movements in PNG needs to be encouraged for any sustainable political party institutionalisation efforts to happen. Political parties are initially created and then more importantly, sustained by peoples who have a stake in influencing decision-making – either through ideological convictions, voting patterns or party platforms that is promoted through their outreach activities. People who share common views and interests seek to influence the formal structures of government sort themselves into mass-based organisations such as political parties. The PNG environment where political parties are created, and exist is a very important variable in discussions about political party institutionalisation. Any top-down approach – through legislative reform agendas – will take time to create the long-lasting environment for political parties to exist as permanent fixtures in the electorate, change the voter behaviour or deliver issue-based political parties. A fundamental re-orientation of the political culture of PNG is also needed. Working to make the environment and citizens receptive to political parties must be an important component in this discussion. Is the PNG political landscape receptive to political parties? When considering the evolution of political parties in established Western democracies, one will note that it took generations for political parties to become established. Much of this can be attributed to the structural changes in these countries. Political parties emerged as permanent fixtures of society as significant political, economic, environmental and social transformations were experienced in these Western democracies. The lesson we can learn from the experiences of Western democracies is that political parties are created by individuals who are indoctrinated over the course of their life-time into specific value systems. In PNG, members of political parties are not grounded into any ideological convictions. The effect of this reality is that party members in PNG are naturally self-serving and opportunistic agents who merely form political parties out of convenience. The unstable nature of political parties and lack of maturity and ideologically-driven features of political parties on the floor of Parliament should be seen as directly linked to an embryonic civil society and a non-participatory political culture in PNG. This is the long-term challenge of political party institutionalisation in PNG. One of the present challenges that negate the continued existence of interest groups and the fomentation of distinctive sectional interests in the electorate is the repressive environment in PNG. In PNG, minority political parties and interest groups will not thrive because political dissent is suppressed. Since the upheavals associated with student-led activism in the early 2000s, PNG citizens find it increasingly difficult to freely assemble and protest against unpopular decisions made by public officials. Strong-armed tactics and threats of intimidation by goons of political elites add to the repressive climate. Something akin to a police state exists in PNG where any form of peaceful demonstration is quelled and deliberately stifled. Such an environment does not allow for like-minded citizens coalescing around specific issue areas and influencing decision-making in a peaceful and coordinated manner. Moreover, the mainstream media run narrow agendas that suit the interests of political elites. Powerful or resourceful political elites even use threat of lawsuit threats for defamation against the mainstream media and other information dissemination outlet, thus reducing the citizenry to uncritical and gullible consumers of one-dimensional rhetoric from official channels. The alternative views needed do not feature in a media that is increasingly corporatised and politicised. Community activism and mass-based movements are the hallmark of a thriving participatory political culture. These features are virtually inexistent in PNG. It is therefore not surprising that citizens are unable to align themselves progressively to groups that reflect their interests and aspirations. Ideologically-driven political parties in turn fail to appeal as convenient rallying points for any divergent interests in society. The incentives for mass-based participation by citizens in political parties or other political movements will need more than attempts at institutional reforms. The historical development of political parties in PNG provides insightful lessons. Some of the earlier political parties were created by movements that generated mass participation. The pre-Independence regionalist groups such as the Mataungan Association or the Papua Besena movement were platforms for peoples to be informed about their political situations and rally behind common ideas. Some of the leaders of these movements – who have held life-long convictions to their beliefs, were even elected into Parliament in attempts to influence decision-making. Other such student-led activist group, the Melanesian Solidarity Group for Justice and Dignity (hereafter, MelSol), was part of an awakening in its time when it was launched in 1984. MelSol was perhaps one of the most successful efforts by student-led activists to provide alternative positions on issues of national interest, even supporting the case of self-determination for Kanaky and West Papua. MelSol was indeed successful in discrediting the involvement of personalities associated with the Sandline crisis (in 1997), the Structural Adjustment Programme (SAP) of the mid-1990s and the implementation of the land mobilisation programme (2001). When political movements and other interest groups of this same calibre exist in society, their activities and programmes ought to be allowed to freely manifest themselves either through outright demonstrations of political dissent or as alternative voices in the governance of this country. Fringe political parties, civil society groups, and other such community movements develop ideological affinity when their rights to political dissent are openly demonstrated. Naturally citizens who vote become informed of issues affecting the nation and affiliate themselves to such movements. A politically engaged society is also an ideal recruiting ground for membership into political parties. The rudimentary structures of political parties emerge out of an enabling environment where open-minded and free-thinking citizens express themselves against established structures. Alarmingly, the suppression of dissent does not demonstrate that a participatory political culture will be created any time soon in PNG. In recent years, the police have used the Peace and Good Order Act 1991, to “control” public demonstrations, especially protests against government. When peaceful protests are organised these are often prevented by the police, citing “security risks”. Interestingly non-government organisation leaders such as Noel Anjo have sought the intervention of the courts in the staging of planned protests and assemblies. Another recent proposal to monitor social media is indicative of the repressive environment in PNG. Political activism is flourishing in cyberspace where increasingly younger generations of Papua New Guineans are taking to social media in expressing their political views. The democratising nature of social media has availed Papua New Guineans an avenue to commentate on happenings in PNG’s political arena. This is the kind of environment that is ideal for mass mobilisation and networking of informed citizens. Clay Shirky, a Professor of new media at New York University notes that “as communications landscape gets denser, more complex, and more participatory, the networked population is gaining greater access to information, more opportunities to engage in public speech, and an enhanced ability to undertake collective action”. Younger generations of Papua New Guineans have the tools and opportunities that past generations did not have. This is perhaps an encouraging sign. But more needs to be done in encouraging an environment that will guide informed citizens into institutions such as political parties. What is next with political party institutionalisation? In this discussion, the complementary approach to institutional reform is suggested. It involves comprehending the behaviour of voters and political party members are presented. In any sustainable efforts at the institutionalisation process of political parties, an informed and politically conscious electorate needs to take ownership of political parties. Institutional reform efforts should complement equally important efforts in the wider civil society where political activism and mass participation in political dissent is encouraged. In the immediate context of PNG’s political party institutionalisation agenda, political dissent should be given free expression. It is incumbent on institutions of the State to allow mass expressions of dissent to foment in the wider PNG society. The police and other instrumentalities of the State should understand that peaceful and organised expressions of dissent allow for political ideals to be nurtured. A participatory political culture is important in channelling citizens into institutions such as political parties. One legislative initiative that can encourage an informed society is to give legislative effect to s.51 of the Constitution (“Right to freedom of Information”). Transparency International in the mid-2000s advocated for freedom of information laws to be created, allowing “public officials to make public their decisions”. This initiative can be revisited to complement wider aspects of civic participation in presenting alternative views and healthy political opposition. When we read into the whole notion of ideologically-oriented political parties, it must be clear that ideology is distinctively different from policies and party manifestoes. Political parties may be articulate in their policy agendas, but ideology is the outcome of life-long immersion in the core principles of political parties. For the next generation of Papua New Guineans to take active interest in their political processes, their right to assemble and express their political views peacefully needs to be respected. Young people are by nature idealistic. It is incumbent that a spirit of civic engagement and healthy political activism is encouraged earlier on. Patrick Kaiku teaches in the Political Science Strand at the University of Papua New Guinea.